Stem cell biology has become an essential part of regenerative medicine and dentistry. The fact of availability of these stem cells among various dental tissues has doubled the researcher’s enthusiasm in the recent years due to fewer ethical constraints and minimally invasive nature. Stem cells from deciduous tooth among the dental stem cells are the ones obtained with least or no trauma. To date, enormous research has been reported on dental stem cells. The purpose of this review is to focus only on certain aspects of dental stem cells that are important to the specialty of pedodontics. 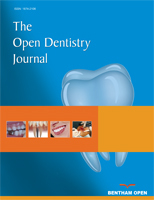 Thus, a detailed emphasis is given on stem cells obtained from human deciduous teeth including their harvesting and storage techniques. Keywords: Dental stem cells, Exfoliated deciduous teeth, Tooth banking, Pediatric dentistry, Pedodontist, Stem cell storage. © 2018 Suseela Keerti Popuri.